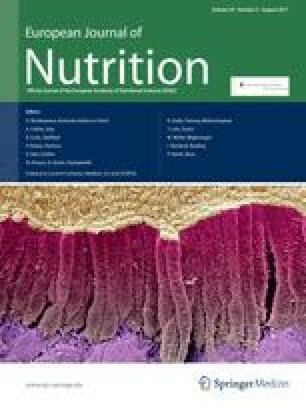 To assess the effectiveness of a dietary intervention combined with fortified dairy products on bone metabolism and bone mass indices in postmenopausal women. Forty postmenopausal women (55–65 years old) were equally randomized into a dietary group (DG), receiving daily and for 30 months, 1,200 mg of calcium and 7.5 μg of vitamin D3 for the first 12 months that increased to 22.5 μg for the remaining 18 months of intervention through fortified dairy products; and a control group (CG). Differences in the changes of bone metabolism and bone mass indices were examined with repeated measures ANOVA. A significant increase was observed for PTH levels only in the CG during the first six winter months of intervention (p = 0.049). After 30 months of intervention, during winter, serum 25(OH)D significantly decreased in the CG while remained in the same high levels as in the summer period in the DG. Serum RANKL levels decreased significantly in the DG compared with the increase in the CG during the 30-month intervention period (p = 0.005). Serum CTx decreased significantly in the DG after six (−0.08; −0.12 to −0.03) and 12 (−0.03; −0.08 to −0.02) months of intervention. Finally, the DG had more favorable changes in total body BMD than the CG (p < 0.001). Increasing dietary intake of calcium and vitamin D in osteopenic postmenopausal women appears to be effective in producing favorable changes in several bone metabolism and bone mass indices and in counterbalancing seasonal variations in hormonal and biochemical molecules. The present study was supported with a research grant by Friesland Foods Hellas. The authors would like to thank Eva Grammatikaki, Ioanna Katsaroli, and Paraskevi Kannelou, dietitians, as well as Sofia Tanagra, technician, for their valuable contribution in data collection and processing. YM also works as a science and nutrition consultant for FrieslandCampina Hellas. The study sponsor had no role in the study design; the collection, analysis, or interpretation of the data; the writing of the manuscript; the submission and revision of the paper. None of the other authors had any potential conflict of interest.